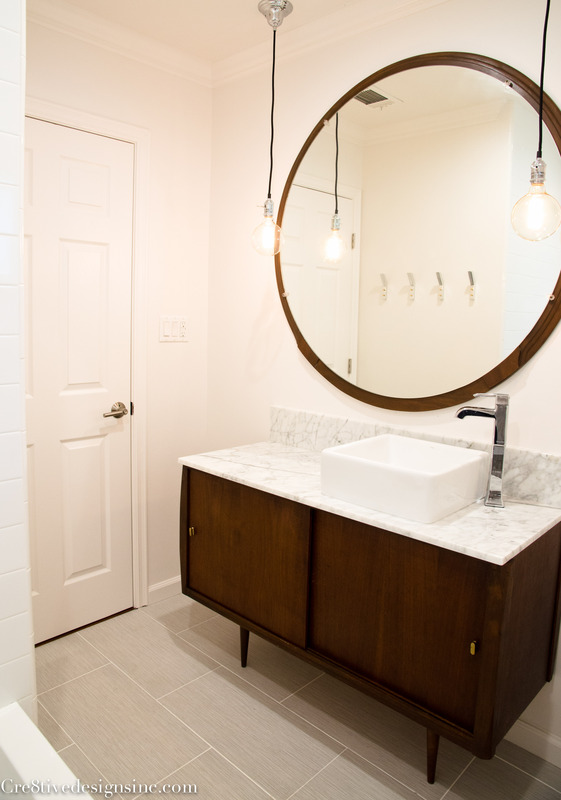 Mid Century Modern Bathroom - Cre8tive Designs Inc.
For the countertops, I bought a remnant piece of carrera marble from a local marble fabricator. 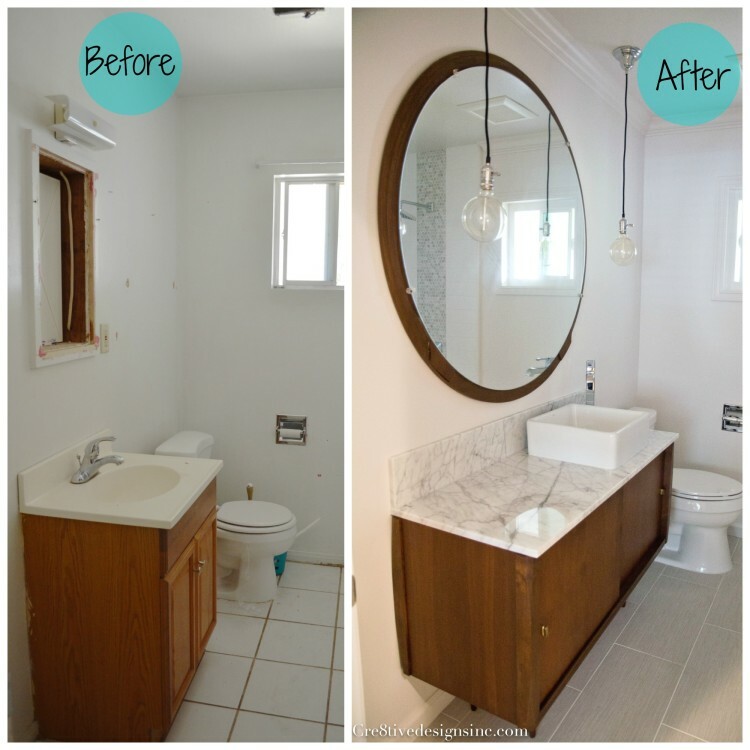 Remnants are the perfect size for a bathroom, and is a lot cheaper than buying a whole slab. That soaker tub is deep and it fits in a standard opening. A win win. The second bathroom in the master I also used a mid-century cabinet for the vanity, I think that is going to be my go to from now on instead of a store bought variety. 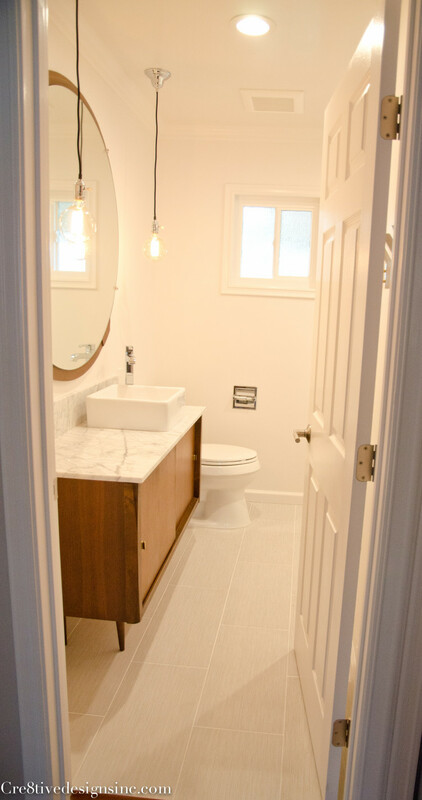 I’ll be posting that finished bathroom on my next post. Sorry that I can’t help you with what to do to refresh your tile. It helps when you first grout your tile to seal it. But other than that, I don’t have a solution. 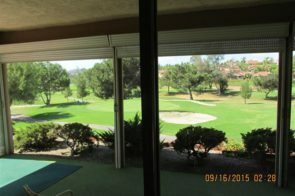 My husband and I just purchased a 1956 ranch which needs a complete bathroom and kitchen renovation. I found myself here on my journey for inspiration. 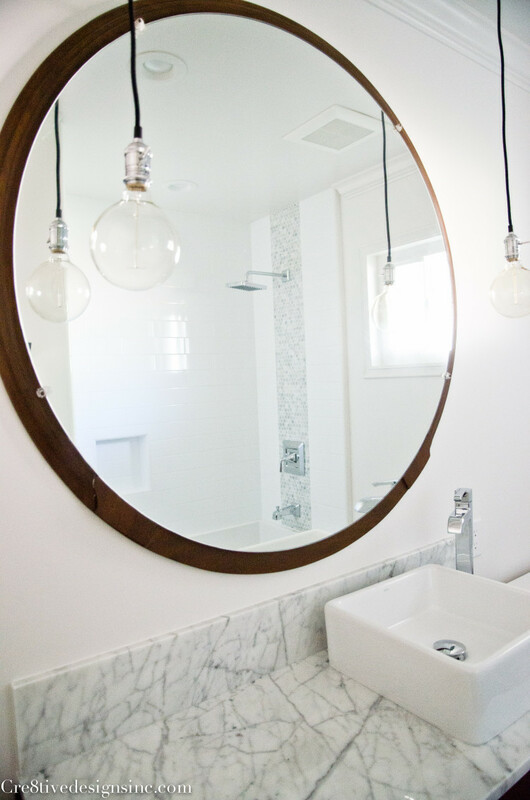 Your bathroom came out beautiful. Would you mind sharing the brand and model of your soaker tub? We both LOVE it! Thank you Sandy and congratulations on your new purchase! 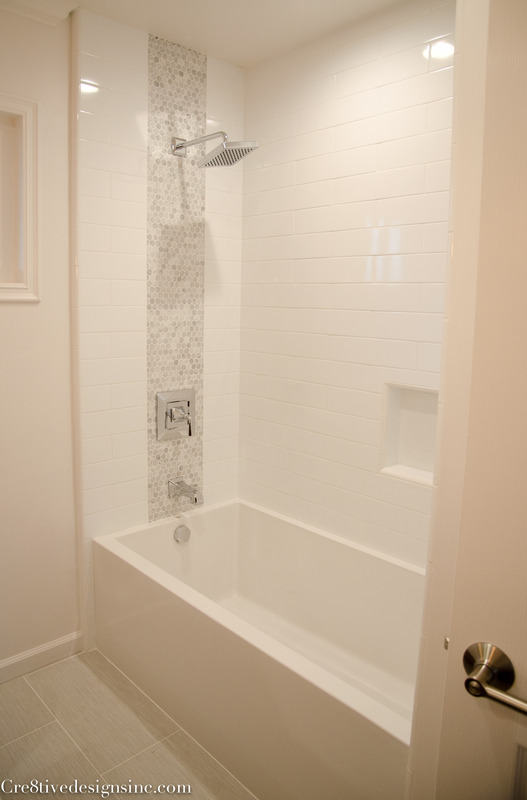 The tub is a Mirabelle MIREDS6032L Edenton 60″ X 32″ Three-Wall Alcove Soaking Tub. It really is a nice tub, you’ll love it. I love what you do so much. We have a very similar esthetic. 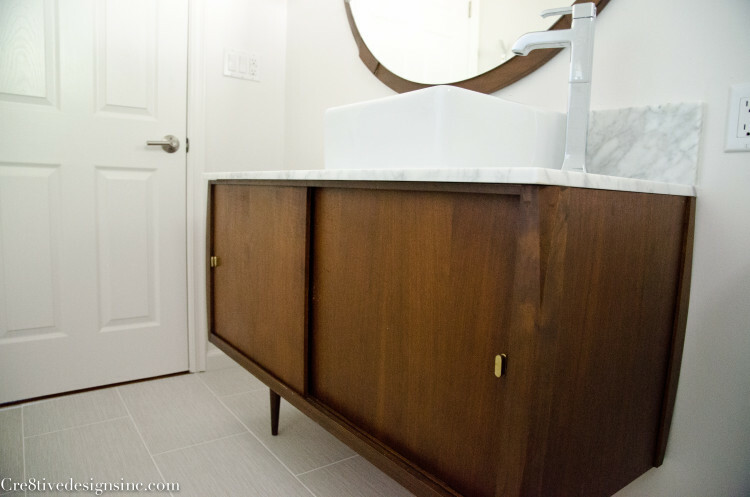 I recently a bathroom and used so many of the same things you did in this bathroom, the same fixtures except a waterfally spout on the faucet but the same family as what you have, same mid century furniture only I could use a vessel sink because of more room. I used a beautiful pale green square tiles in keeping with the 1947 vintage of the house and used the exact same bathtub which I love more than I can say. It has that wonderful horizontal overflow so you can have a nice deep soak. Thank you for your pictures. 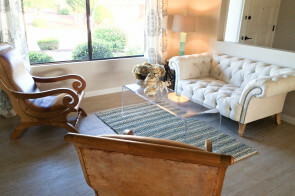 Your lovely work has given me some great ideas for my next remodel. Naomi, thank you so much for saying that!I always hope to inspire, and you just made my day. Send pictures, I would love to see your vintage house! 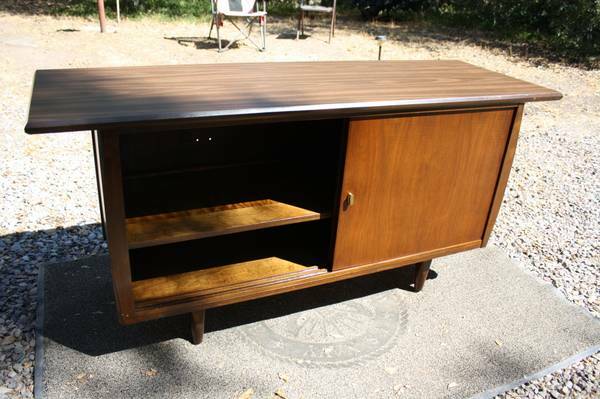 I am SO impressed with how you transformed a mid century cabinet into a bathroom vanity not once but twice! 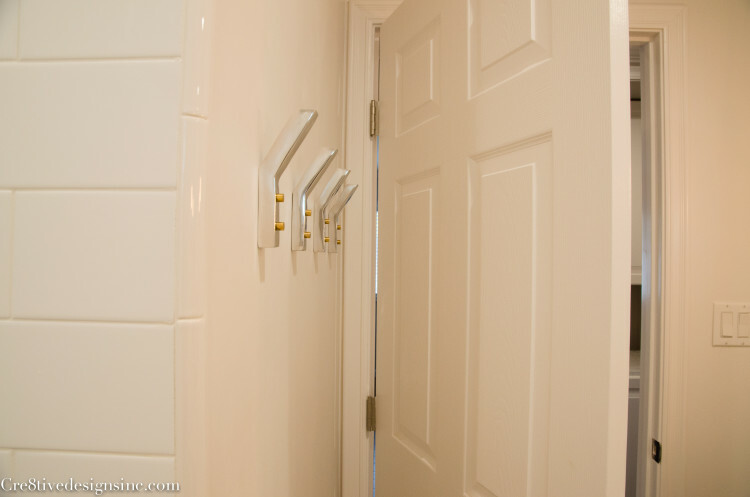 It’s exactly what I now plan to do with the bathrooms in my “mid century modest” tract home, both of which are about the same size as the ones you renovated. 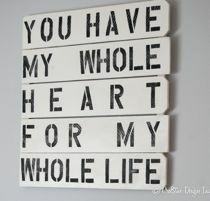 There isn’t anything out there that you can buy that comes even close! 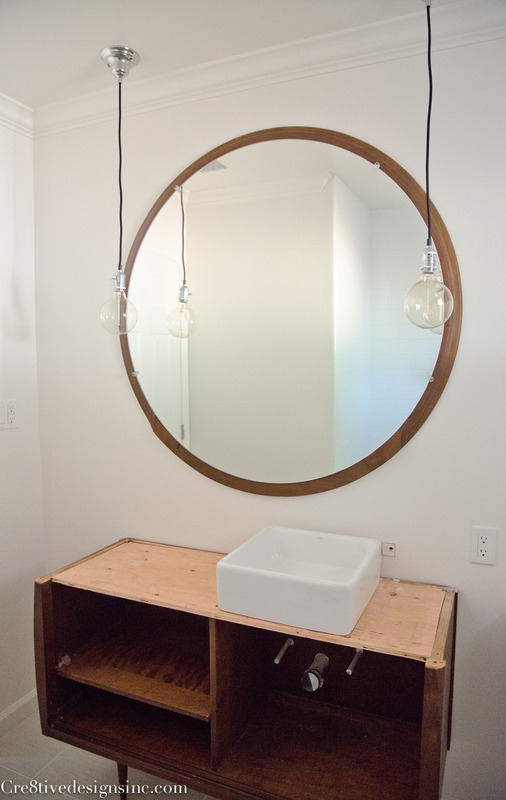 I especially appreciate the photos of the vanity during construction, and the design board. Can you please tell me where you purchased the tub? I live not too far from you (in Orange County). 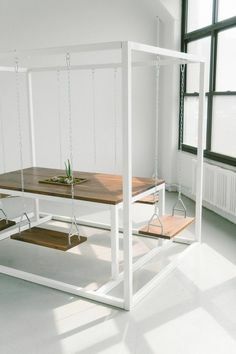 By the way, I recently renovated our living room and kitchen…not exactly DIY but I did get all my ideas via web research, so what are you doing is very valuable. Thank you so much! 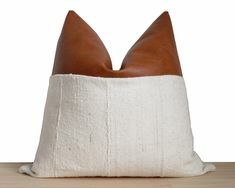 Hi, I love the look of this. I really like the tub as opposed to the drop in type. What did you do for a shower screen or curtain here? 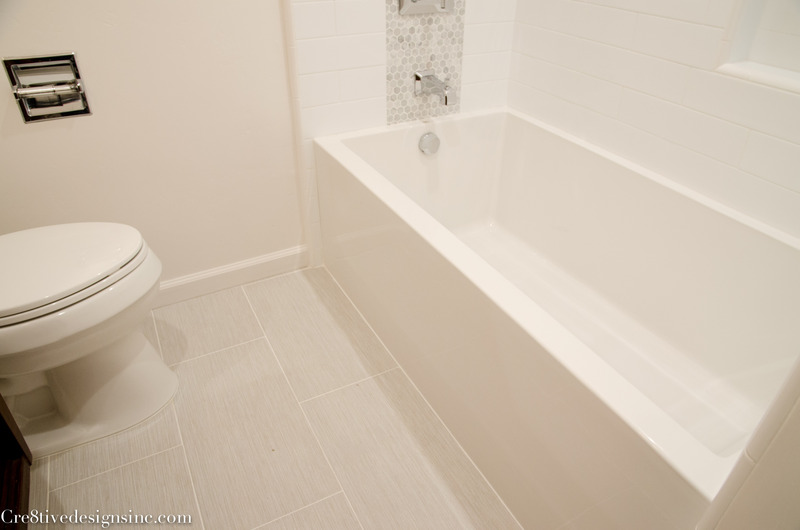 I want to put a tub the same in our (potential!) 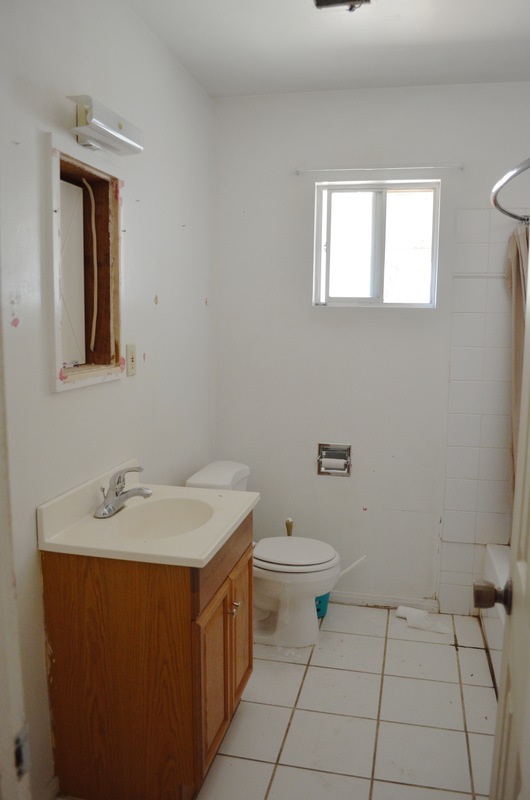 upcoming reno but I’m lost for whether a semi frameless shower bath screen will work or if a curtain will work better. I don’t have a problem with a shower curtain myself but they can cheapen the look. 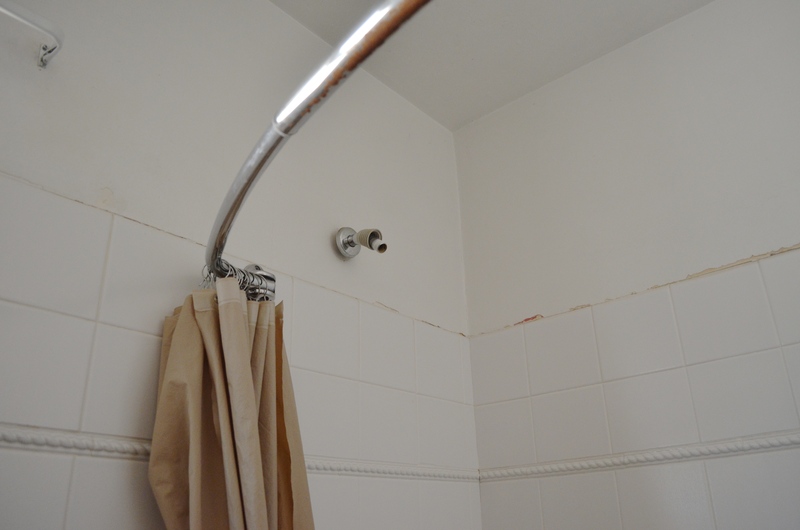 I didn’t put up a shower door on this tub/shower. I anticipated the buyer using a shower curtain. It’s a personal preference, I like a shower curtain because you can change it out to freshen up your bathroom easily. Hey Stephanie! 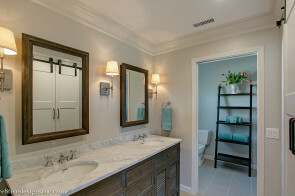 The bathroom looks gorgeous! Can you share more info about the floor tile? 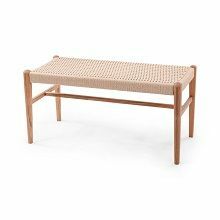 I love it and I can’t seem to find it on the Euro Tile website. Hi Casey, I would contact European Tile Art. They are very helpful and would be more than happy to assist you in the product information. 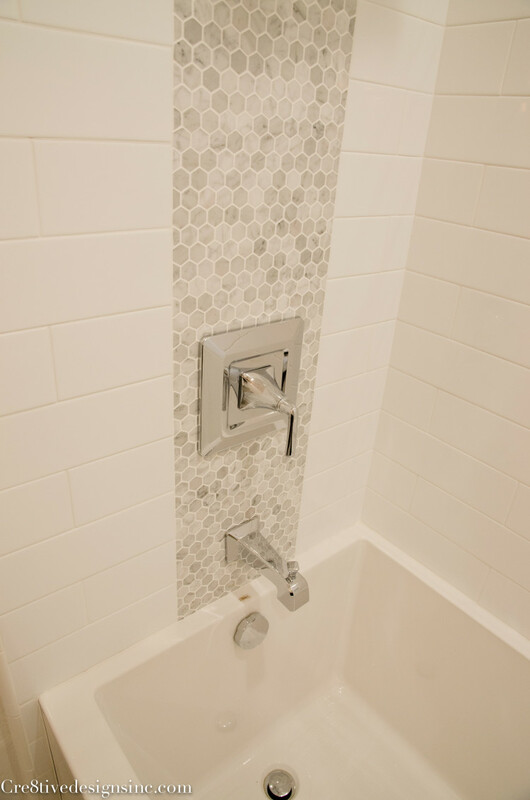 They know every tile detail in all my projects, so they would be more than happy to help. Their web site does not show 1/4 of what they have in their store. I wish they would have a better web site, but it’s not their thing. 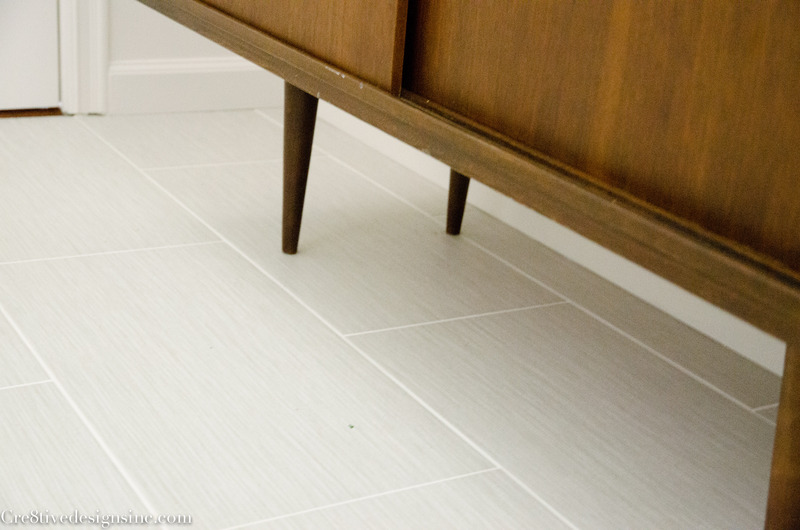 It is a linen look porcelain tile, which has a little bit of a grain to it which helps with wet areas. I love the tub/shower combo. 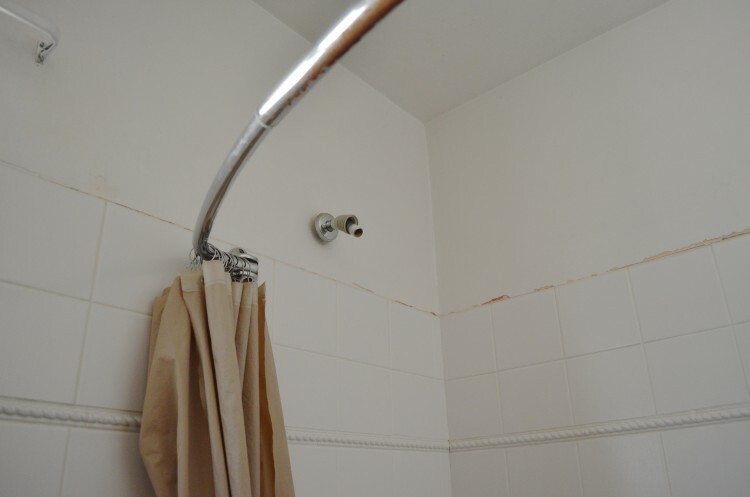 Which brand and style is the faucet/shower? I have a link in the post to the tub/shower combo. That link took me too Amazon and it has the showerhead and valve/handle to turn water on/off and hot/cold, but it didn’t have the spout. I noticed in your post you said you got all your plumbing fixtures from build.com. So did it come from build.com or Amazon? And were you able to get all three piece as a set? 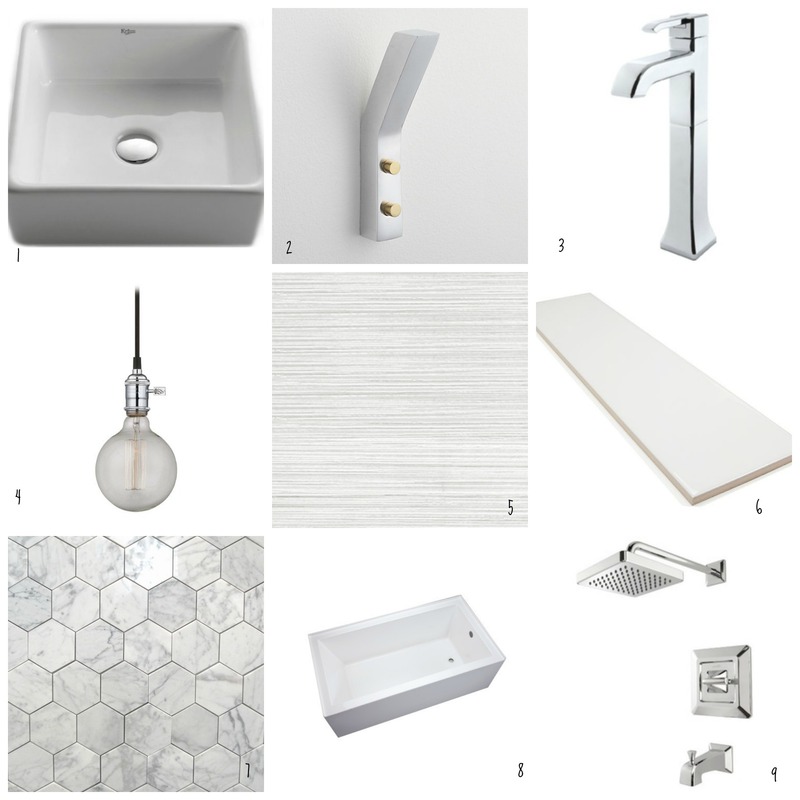 We are about to start our bathroom remodel and trying to get some of the materials bought. Thanks so much in advance. Sorry about that! I will have to fix it. 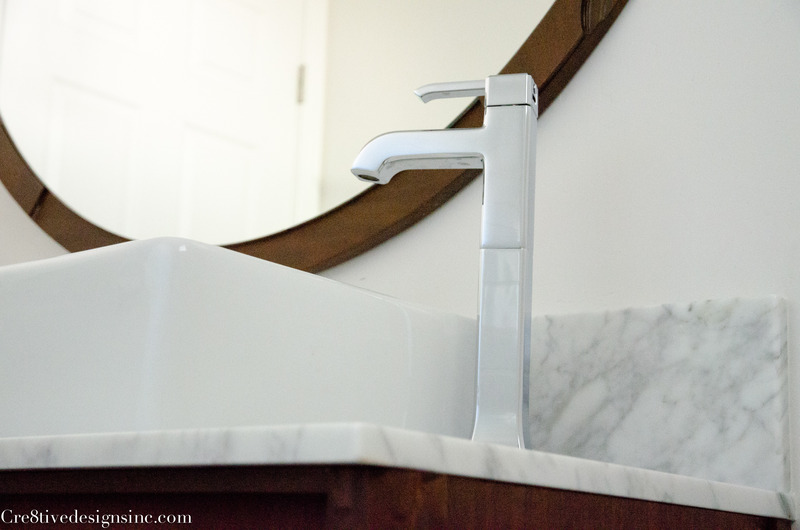 I purchase most of my plumbing fixtures from Build.com., including this one. I don’t know why I put amazon. My bad. 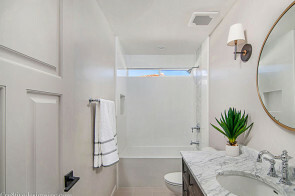 Is the bathtub surrounding tile 3*6 or bigger? It is hard to tell from the pic. 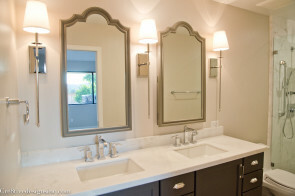 I love the new bathroom! Hi Vicki, it is 3″ x 6″ tile. 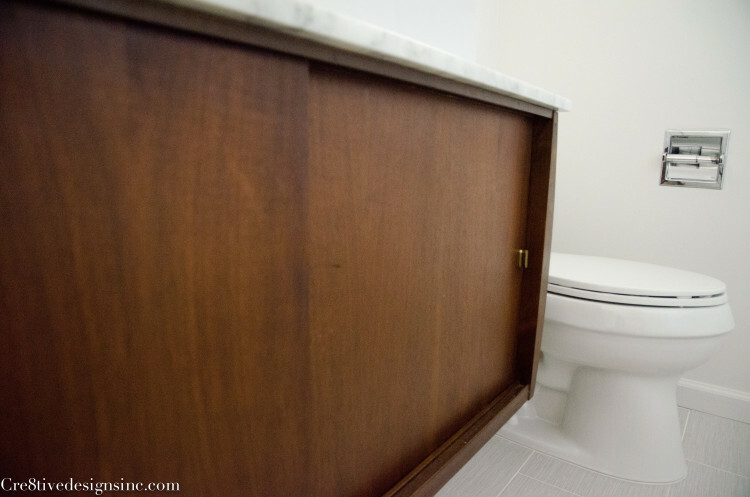 Thanks for sharing Stephanie, I’m looking for a nice mid-century bathroom to get an idea on what to do with our bathroom, my wife wanted it to look classy and not boring. I think she’ll consider your ideas. What is the manufacturer and model on the soaker tub? I’m 2 years late so the link does not work anymore. You did a great reno and using a cabinet is genius. I missed how big is your bathroom? 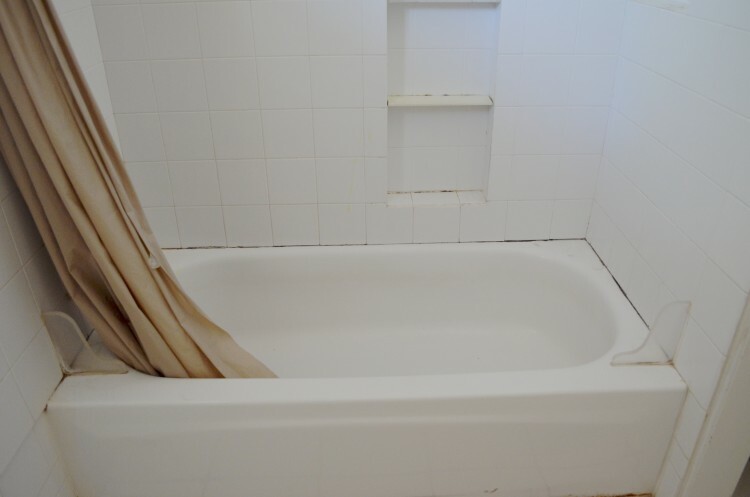 I have our main bathroom to do and I am looking for a great soaking tub. It has to fit in a reg tub space but it can be deep. I am all legs so it need it deep. Can you tell me how it is working for width? It looks narrow. I love CL. If only I could get DH on the same page. He likes to buy new but then won’t because of the price. Men! Great idea about the remnant marble also. Boy I would love your brain! 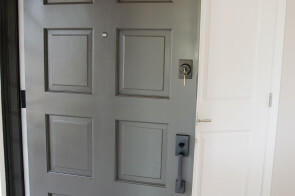 I remodeled this home and sold it. I did not get the opportunity to actually use the tub. It is a Mirabelle soaking tub, and you can look at the dimensions online. I did not find it to be narrow in person tho, if that helps. What is the tub model?